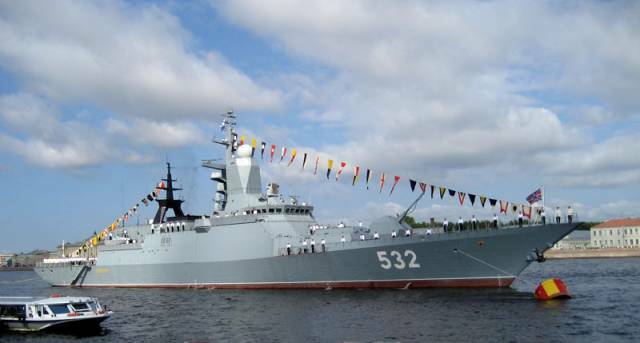 The photo shows a Russian Federation Navy corvette “Boiky”. Corvette photo was taken July 28, 2013 during the celebration of the Navy Day of Russia. The ship was commissioned May 16, 2013. The ship was built by the Northern Shipyard in St. Petersburg. Displacement - 1800 tons (standard), 2220 tons (full). Length - 104.5 meters Width - 13 meters Maximum speed - 27 knots. You may also be interested in: Naval Museum in St. Petersburg.